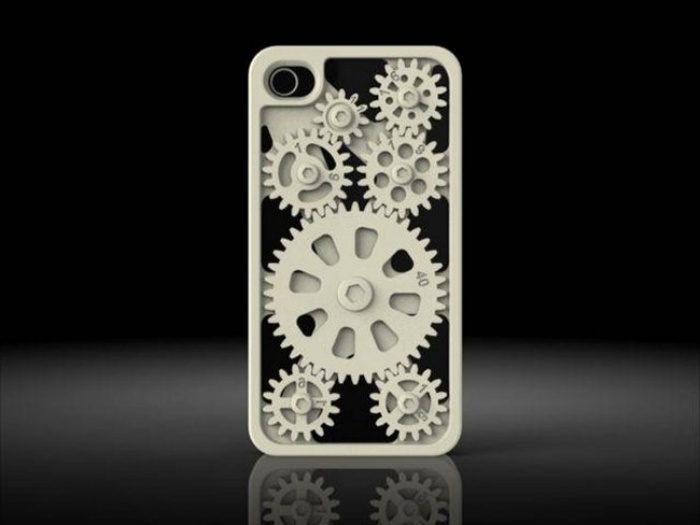 This iPhone Case Gets Your Gears Turning | OhGizmo! By Hazel Chua on 09/06/13 • Leave a comment! This iPhone case designed by Danny Tasmakis is truly something else. It features a thick frame with a bunch of gears covering the back. The coolest part? The gears are actually movable. They also function as an analog calculator of sorts, as the gears are embossed with the number of teeth on each, so you can work out ratios and the like. There are even and odd number of teeth gears just to make it that bit more challenging, it’s a great visual to see what direction what gear is going in a gear train. You won’t even have to turn on your phone and it still works. You can print the case out yourself if you have access to a 3D printer by downloading the model here. If you don’t, you can also just buy it, although there’s still some minimal assembly required from you to put the case together. The case is priced at $19.29.